Ocean State Job Lot • Long Island Cares, Inc. Since January 2015, Ocean State Job Lot has donated more than 167,731 pounds of food to Long Island Cares. 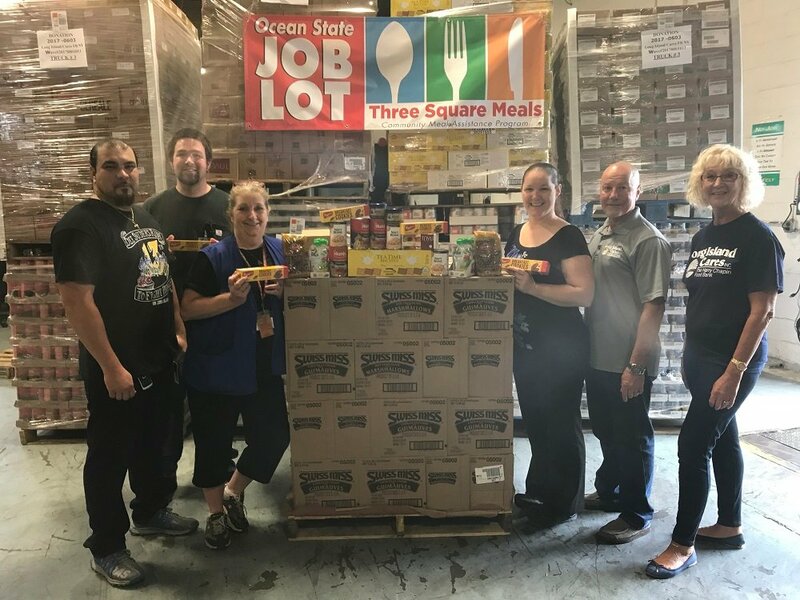 Ocean State Job Lot Charitable Foundation’s hosts the “The Square Meals” food donation event each year, a program that has grown into the largest food donation program of its kind by a private company in their region. The event allows them to purchase nutritious, shelf-stable food items for distribution to Food Banks including Long Island Cares. Annually, they load up a tractor trailer with food and make the journey from the Job Lot warehouse in Rhode Island to deliver food right here in Hauppauge. We are grateful for their donations and happy to call them a corporate hero.